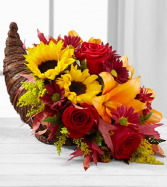 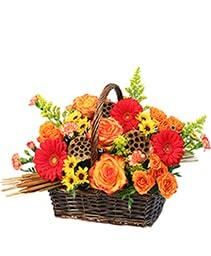 Fresh fall flowers in a cornucopia basket. 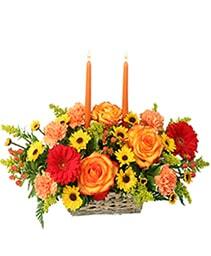 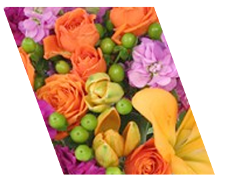 Modern gathering of fresh fall flowers with roses, sunflowers, hydrangea, etc. 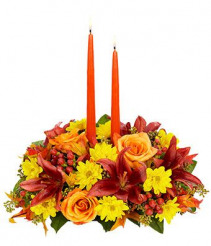 Traditional Thanksgiving centerpiece with candles.